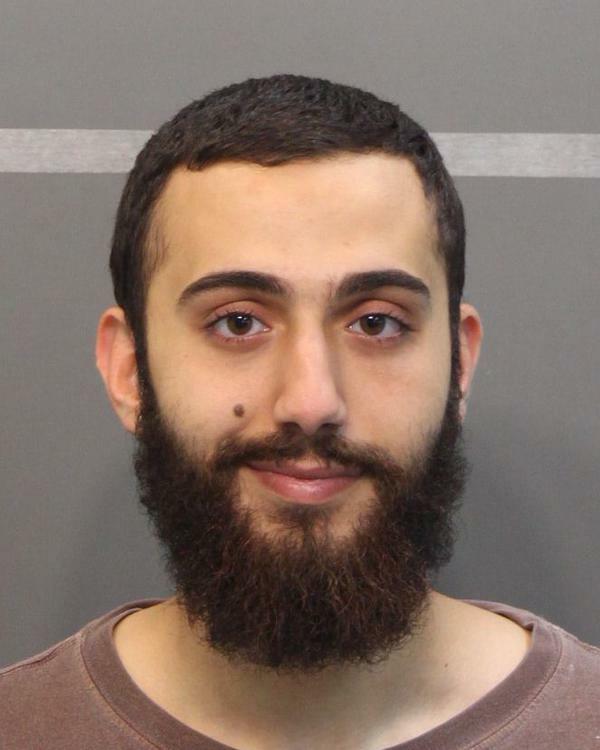 July 17, 2015 (Tony Cartalucci – LD) – Once again, another convenient shooting has helped supercharge anger, hatred, fear, and division across the Western World after an alleged “Islamist extremist” opened fire on and killed 4 US Marines at a recruiting station in Chattanooga, Tennessee. Without any knowledge of how the US has in fact created Al Qaeda and its many global affiliates, including vicious terrorist groups plaguing Southeast Asia, and the most notorious to date, the so-called “Islamic State” (ISIS), the American public will predictably react in a manner that will simply further justify America’s meddling across the globe amid its self-created and perpetuated “War on Terror.” It will also help in efforts to further tighten control over the American public itself, with increased justifications for expanding police state measures and future pushes to disarm the American people. This means that yet another case of “domestic terror” has involved someone either investigated by the FBI, entrapped by an active FBI operation where FBI investigators posed as terrorist leaders and walked a patsy through every step of a terrorist attack before arresting them and thus “foiling” the attack, or linked directly to someone the FBI was investigating. Ironically, the immense omnipresent police state the West has erected to combat the so-called “terrorist” threat, including the total surveillance of all communications online and across all telecommunication networks, at home and abroad under the National Security Agency (NSA) will only expand, despite it once again apparently failing, and despite attempts by special interests on Wall Street and in Washington to claim this latest attack “again” somehow circumvented these already sweeping measures. And while this latest attack is passed off as a “domestic terrorist attack” and the result of “Islamic extremists,” rather than a false flag event, the US continues to openly support the very “terrorists” it claims threatens its homeland and has inspired these sort of attacks. Just recently, the Washington Post literally allowed a spokesman of Al Qaeda to defend his faction’s role in the fighting in Syria, and his condemnation of the United States for not rendering more aid for the cause of overrunning and destroying the Syrian nation – a goal the US itself is likewise pursuing. Stuck inside their own bubble, White House policymakers have allocated millions of U.S. taxpayer dollars to support failed CIA efforts to support so-called “moderate” forces in Syria. But these “moderate” groups have proved to be a disappointment on nearly every count, not least of all in confronting the Islamic State. That question should prompt Washington to admit that the Islamic State’s extremist ideology can be defeated only through a homegrown Sunni alternative — with the term “moderate” defined not by CIA handlers but by Syrians themselves. Essentially, the Washington Post afforded a terrorist organization space to make an appeal to the American public for military support. Ahrar al-Sham regularly coordinates with and fights within operations led by Al Qaeda’s Al Nusra Front, a US State Department designated terrorist organization from which ISIS itself sprung. Al Nusra and Ahrar al-Sham are described as the “closest” of allies by Western think-tanks and media reports. It is also revealed that Ahrar al-Sham worked along side ISIS itself. Ahrar al-Sham quickly became one of the largest military organizations operating in Syria, and it has been active in efforts to unite the Islamist opposition under a single banner. It rejects the idea of Western intervention but sometimes works alongside Free Syrian Army brigades. It routinely cooperates with al-Nusra and, until relations soured in 2013, also worked with ISIS. In February 2014, the U.S. Director of National Intelligence called Ahrar al-Sham one of the three most effective rebel groups in Syria. The Washington Post isn’t the only voice in the Western media promoting Al Qaeda. Foreign Policy in 2012 abhorrently proclaimed, “Two Cheers for Syrian Islamists: So the rebels aren’t secular Jeffersonians. As far as America is concerned, it doesn’t much matter.” As much as an admission that the US is backing what is essentially terrorism in Syria, the Foreign Policy article attempted even then to promote the alleged “pragmatism” of supporting Al Qaeda to eliminate America’s foreign enemies. 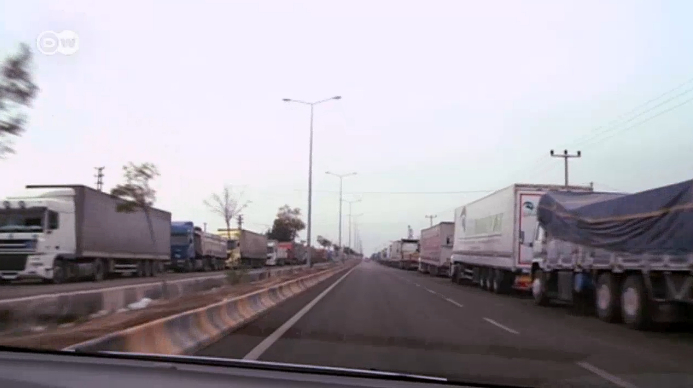 Image: 100’s of trucks a day pass over Turkey’s border with Syria, destined for ISIS territory. NATO literally is supplying ISIS with an endless torrent of supplies, weapons, and fighters meaning that no matter how many token airstrikes the US carries out, many times more fighters and materiel will fill the void. And while Foreign Policy and terrorists writing in the pages of the Washington Post demand more weapons and support from the West, it is already a documented fact that immense and constantly flowing supply convoys are streaming out of both NATO-member Turkey and US-ally Jordan’s territory, into Syria and Iraq, for the purpose of resupplying ISIS. This explains ISIS’ otherwise inexplicable ability to not only maintain its impressive fighting capacity as it simultaneously wages war against both the Syrian and Iraqi armies, but to expand its fighting to all fronts opposed to US regional hegemony. The use of a guided missile to strike an Egyptian ship represents a higher level of technological sophistication than what has been previously observed in Sinai attacks. It is unclear, however, exactly what kind of missile was used in the attack, beyond the militant group’s claim that it was a guided munition. Militant groups in the region have in the past used guided missiles to attack government ships in the Mediterranean. During the 2006 war between Israel and Hezbollah, an Iranian anti-ship missile fired by the militant group struck the Israeli warship Hanit, badly damaging the vessel and killing four crew members. Of course, Foreign Policy and others across the Western media will be quick to point out that Hezbollah is a state-sponsored militant organization which receives its weapons from Syria and Iran. The question then becomes how ISIS replicated this level of “technological sophistication,” and which state-sponsors put the missiles into their hands. The US supporting Al Qaeda is not really news. Al Qaeda was initially a joint US-Saudi venture to create a mercenary army to fight the Soviets in Afghanistan during the 1980’s. This mercenary army would again fight Russian interests in Serbia and Chechnya before eventually being used as the pretext for US invasions and occupations of both Afghanistan and Iraq from 2001 onward. In 2007, it was revealed that the US, Saudi Arabia, and Israel sought to use the terrorist organization to raise a proxy military front to overthrow Syria and Iran. The resulting bloodbath in Syria beginning in 2011 is the operational execution of this documented conspiracy. Al Qaeda and its various affiliates serve both as a proxy mercenary front to strike where Western forces cannot, and a pretext to invade abroad. It also serves as a constant justification for increased tyranny at home. With the most recent shooting carried out by yet another target of the FBI’s “investigations,” and the predictable divisive backlash that will follow, it is assured that the American public will be further blinded to the fact that this so-called “Islamic extremism” was born in Washington and on Wall Street, in Riyadh and Tel Aviv, not in a mosque or springing forth from the pages of the Qu’ran. In fact, the vast majority of the world’s Islamic people are locked in mortal combat with the West’s mercenary terrorist forces, with tens of thousands of them having shed their blood fighting Al Qaeda everywhere from Libya to Egypt, to Iraq and Syria. While the US attempts to pose as the leading power in the fight against extremism, its token airstrikes deep within Syrian territory are quickly undone by the torrent of supplies it itself oversees flooding into Syrian territory. For every fighter killed by a US airstrike, 10 more are being trafficked in through US and NATO-run networks stretching as far afield as Xinjiang, China. The US presence in Iraq and Syria serves simply as one of several planned stepping stones to eventually and directly intervene militarily in toppling either or both governments, before moving on to Tehran. The “War on Terror” is a fraud, and each “terrorist attack” a carefully orchestrated means of further perpetuating that fraud. Mankind cannot evolve until we confront the evil which overpowers us with our own fears. THERE IS NO WAR ON TERROR, THERE IS ONLY US TERRORIZING THE WORLD. IF WE COULD DO THIS TO OURSELVES, THEN IMAGINE WHAT WE HAVE PLANNED FOR THE REST OF MANKIND. Newly obtained video that was reluctantly released by NIST after a lawsuit by the International Center for 9/11 Studies shows two firefighters on 9/11 discussing how secondary explosions occurred immediately before the collapse of the twin towers, providing damning new evidence that explosive devices were used to bring down the buildings. Firemen discuss how bombs were going off in the lobby of WTC1 as they were staging to move up the building. They explain how the building had already been hit by the plane and fires were already burning. After two explosions in the lobby, a third went off and the whole lobby collapsed. I’m sorry 9/11 truth deniers, you now have another smoking gun that you can’t deny! BANGKOK/JAKARTA (Reuters) – Thailand, Malaysia and Indonesia gave no response on Wednesday to a United Nations appeal for them to rescue thousands of migrants, many of them hungry and sick, adrift in boats in Southeast Asian seas. There were conflicting statements on whether regional governments would continue to push back migrant boats in the face of the UN warning that they risked a “massive humanitarian crisis”. “Indonesia, Malaysia and Thailand have decided not to receive boat people, as far as I am aware,” Major General Werachon Sukhondhapatipak, spokesman for Thailand’s ruling junta, told Reuters. He declined to comment on the UN refugee agency UNHCR’s appeal on Tuesday for an international search and rescue operation for the many stranded on the seas between Thailand, Malaysia and Indonesia. The UN has said several thousand migrants were abandoned at sea by smugglers following a Thai government crackdown on human trafficking. Malaysia’s Home Ministry also declined to comment on the U.N. rescue appeal. The issue would be discussed at a meeting of 15 countries, to be held in Bangkok on May 29, Thai junta spokesman Werachon said. But the Royal Thai Navy said on Wednesday that its policy was not to send the boats back to sea. Earlier this week, a junta spokesman said that a surge in migrants to Indonesia and Malaysia from Bangladesh and Myanmar had been caused by the crackdown and by Thai authorities blocking boats from landing. Thailand ordered a clean-up of suspected traffickers’ camps last week after 33 bodies, believed to be of migrants from Myanmar and Bangladesh, were found in shallow graves near the Malaysian border. That has made traffickers wary of landing in Thailand, the preferred destination for the region’s people smuggling networks, leading to many migrants being left out at sea. Indonesia provided food, water and medical supplies to around 500 passengers on a boat off the coast of the northwestern province of Aceh on Monday, before sending the vessel towards Malaysia. The Indonesian Navy said the passengers of the boat they sent onwards wanted to go to Malaysia, not Indonesia. A day earlier and also in Aceh, Indonesia rescued nearly 600 migrants from overcrowded wooden boats. Those migrants were brought ashore and remain on Aceh. The Indonesian policy was to offer food and shelter to refugees and coordinate with international migrant and refugee bodies, Foreign Ministry spokesman Armanatha Nasir told reporters on Wednesday. This it had done with the nearly 600 migrants it rescued on Sunday, he added. “What we do not do is load them on to the ship and push it to the ocean,” he said. But advocacy group ASEAN Parliamentarians for Human Rights criticised the Indonesian government for sending the boat back to sea on Monday. “Towing migrants out to sea and declaring that they aren’t your problem any more is not a solution to the wider regional crisis,” ABHR Chairperson and Malaysian lawmaker Charles Santiago said in a statement. Many of the arrivals are Rohingya, a stateless Muslim minority from Myanmar described by the United Nations as one of the most persecuted minorities in the world. An estimated 25,000 Bangladeshis and Rohingya boarded rickety smugglers’ boats in the first three months of this year, twice as many in the same period of 2014, the UNHCR has said. “When countries such as Thailand implement a push back policy, we find Rohingya bodies washing ashore,” said Sunai Phasuk at Human Rights Watch in Thailand. Malaysia’s police chief said that joint work with the Thai police force had helped Malaysian police smash seven syndicates involved in smuggling and trafficking in March and April. The syndicates operated in northern Malaysia and southern Thailand, Khalid Abu Bakar told reporters on the Thai island of Phuket, where members of the two police forces met this week for annual talks on international crime. Among 38 people arrested were two Malaysian policemen, he said. As well as trafficking, Malaysian police believe the syndicates were involved in forging UNHCR documents, he said. BRUSSELS, Feb. 26 (Xinhua) — A senior Chinese diplomat has said that the nature and root cause of Ukraine crisis was the game between Russia and western powers, including the United States and the European Union. “There were internal and external reasons for the Ukraine crisis. Originally, the issue stemmed from Ukraine’s internal problems, but it now was not a simple internal matter. 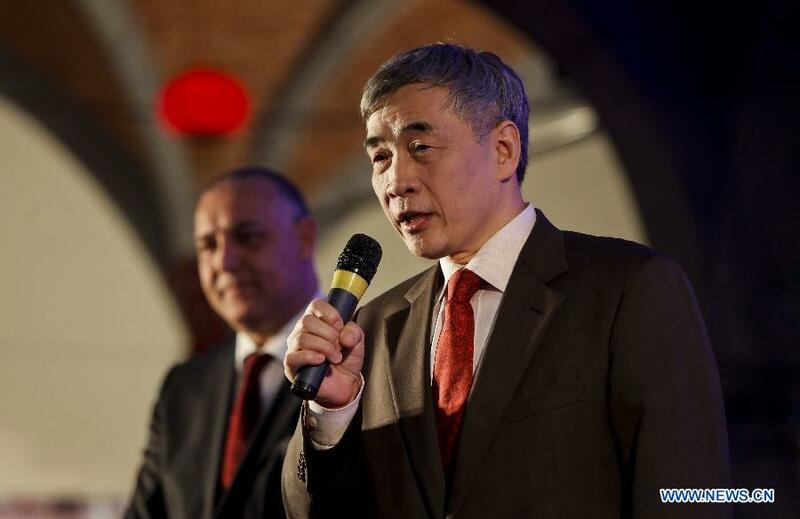 Without external intervention from different powers, the Ukrainian problem would not develop into the serious crisis as it be,” Chinese Ambassador to Belgium Qu Xing told Xinhua in a recent interview. Qu said that from the perspective of Ukraine’s internal affairs, the eastern and western regions in Ukraine differed in culture, ethnic groups, understanding of history, and social and economic development, so the relationship between the two parts had long been affected by external forces. Moreover, in recent years, as Ukraine underwent repeated changes of regime, politicians focused more on partisan struggle rather than improving people’s livelihood. Thereby weak economy and severe corruption further intensified internal contradictions. Qu noted that Russia would felt anxious that the West may squeeze its geographical space by extending influence in eastern European countries including Ukraine. In addition, Qu said that the involvement of the United States in Ukraine crisis would become a distraction in its foreign policy, including its “re-balancing strategy”. “The United States is unwilling to see its presence in any part of the world being weakened, but the fact is its resources are limited, and it will be to some extent a hard work to sustain its influence in external affairs, ” Qu said. “The major powers need to seek a win-win situation rather than zero-sum security,” Qu said, pointing out that countries needed to rethink the concepts in international affairs and learn a lesson from the Ukraine crisis. He said for the West’s own part, although its military strength had been comparatively powerful, it still felt no absolute security with taking continuous steps to cement security, including moves to enhance the global distribution of ballistic missile defense systems. An example of west powers’ high sensitivity about their own security could be that the United States had a national security review system for foreign investors’ mergers and acquisition activities in the United States. But its definition of “national security” was not clear enough and the process of the review should be more transparent to the public, Qu said. If a country is highly sensitive to its own security, while ignoring other countries’ basic security needs and concerns, it will cause lots of problems, and the phenomenon would be a serious issue in nowadays international society. If this problem cannot be solved, the Ukraine issue and some other similar global problems would not be solved, he said. If the western powers do not have the same acknowledgment of Russia’s security concerns and security needs, Russia will feel that it has not been equally treated by the West, and its security interests and development interests have not been respected by the West, he said. “The West should abandon the zero-sum mentality, and take the real security concerns of Russia into consideration,” said Qu. Against the backdrop of the Ukraine crisis, the international community must re-think over the concepts of international relations. Major powers must get along with each other following the principle of equality, cooperation, and mutual benefits and trust, so as to realize win-win situation in the global scenario, he said. As to the U.S. and Europe’s stance on the issue of Ukraine, Qu said the United States and Europe essentially had the same strategy, but their tactics were different, as their geopolitical interests were different, said Qu. As Ukraine and Europe share geopolitical proximity, Ukraine’s chaos will definitely cause instability in Europe. Also, the EU had energy dependence on Russia. Therefore, the EU held more pragmatic attitudes than the United States over the Ukraine issue, he said. The fact that the United States did not participate in the latest round of negotiations in Minsk precisely reflected the Western parties’ concerns and tactics. On the one hand, the absence of the United States raised the negotiation leverage for European partners to force other parties to make more concession. On the other hand, this left the West further action maneuver. “Even though a latest ceasefire agreement had been achieved, it is still possible for the Western parties to change the original decisions in the future for the excuse that the United States was not involved in the negotiations,” he said. Qu said China hopes the Ukraine crisis could be solved in the political way. On the one hand, China and Ukraine are traditional friendly countries. China has always pursued the principles of non-interference, respect for sovereignty and territorial integrity of Ukraine. And on the other hand, China acknowledges that the issue involved complicated historical elements. “But … it has pulled away from the front lines on a scheduled rest-and-retraining rotation, Guk said, leaving the Ukrainian army — a less capable force, in his opinion — in its place. His advice to residents of Mariupol is to get ready for the worst. The New York Times filed a similarly disingenuous article from Mariupol on Feb. 11, depicting the ethnic Russian rebels as barbarians at the gate with the Azov battalion defending civilization. Though providing much color and detail – and quoting an Azov leader prominently – the Times left out the salient and well-known fact that the Azov battalion is composed of neo-Nazis. Other news organizations have been more forthright about this Nazi reality. For instance, the conservative London Telegraph published an article by correspondent Tom Parfitt, who wrote: “Kiev’s use of volunteer paramilitaries to stamp out the Russian-backed Donetsk and Luhansk ‘people’s republics’… should send a shiver down Europe’s spine.